Chances are you have heard of the escalating conflict between North Korea and the United States due to North Korean leader Kim Jong Un flexing his ICBM arsenal. 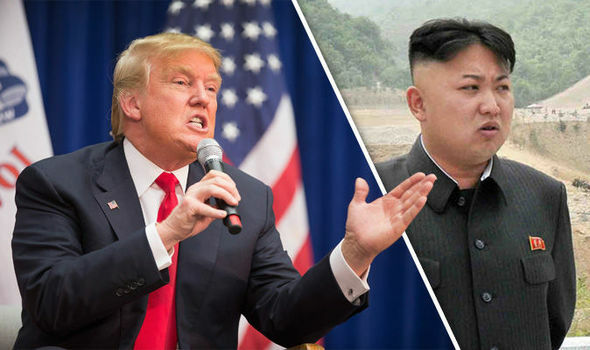 As of late, exchanges have been made between the nations with President Trump capturing the media’s attention yet again with the infamous threat when promising “fire and fury” to Kim Jong Un’s military nation. To no one’s surprise, the DPRK pushed back with threats directed towards the U.S military state of Guam which in turn demanded another U.S response. China has now officially condemned the North Korean Nuclear program meaning the DPRK stand alone on their overly ambitious, offensive stance. The media has captured the attention of the world and progress towards a diplomatic approach appear less and less likely. With this being said, the response of the market is beginning to voice its opinion on the matter with the defense industry gaining traction while the S&P 500 slipped 0.2 per cent after the “fire and fury” comments. In the last 5 days, Northrop Grumman Corporation (NYSE:NOC) gained 2.35 per cent, Raytheon Company (NYSE:RTN) gained 4.23 per cent, and Lockheed Martin (NYSE:LMT) gained a commanding 5.06 per cent. The companies listed above are subject to heavy government exposure which is likely the cause for the increased demand. Boeing on the other hand, failed to live up to expectations with their stock dropping 2.84 per cent in the most recent five days. Defense stocks have already been booming since President Trump’s election. Answering to Trump’s promises of increased military spending, stocks in the aerospace and defense industry have shot up 39% based on the SPDR S&P 500 Aerospace and Defense exchange-traded fund. Currently speaking, most analysts are recommending the “buy” option for these military stocks but keep in mind that investing during volatile and even potential war times may require you to sit on the edge of your seat incase markets adjust, plus, they are not the most ethical of investments in my opinion. Some skeptics are doubtful that a military conflict will actually kick off however, based on the political landscape of the scenario, nothing really seems sure at the moment.